If you’ve paid any attention to the videogames industry over the past 12 months, you may have heard of a little something called battle royale. The genre has taken the world of gaming by storm, first with PUBG, then Fortnite, racking up millions of players (followed up by hundreds of less successful competitors). Major publishers have been slow to pick up on the phenomenon but they seem to be closing in on the genre now. Both Activision and EA announced that battle royales will be coming to some of their most popular franchises. Bethesda is staying out of it though. Bethesda might not be making one, but there are plenty of other options – check out our list of the best battle royale games. If you’re desperate for battle royale then there’s still plenty going for you. For one, Fortnite’s player count has topped 125 million, while Call of Duty: Black Ops 4 and Battlefield V will both get battle royale modes. 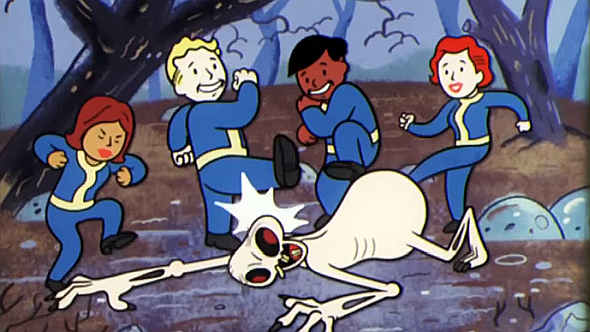 If you’re desperate for more Bethesda, you might like to know that Fallout 76 releases this year, while The Elder Scrolls VI was also announced at the company’s E3 conference. It’s only if you want battle royale and Bethesda to cross over that you’re going to be disappointed.